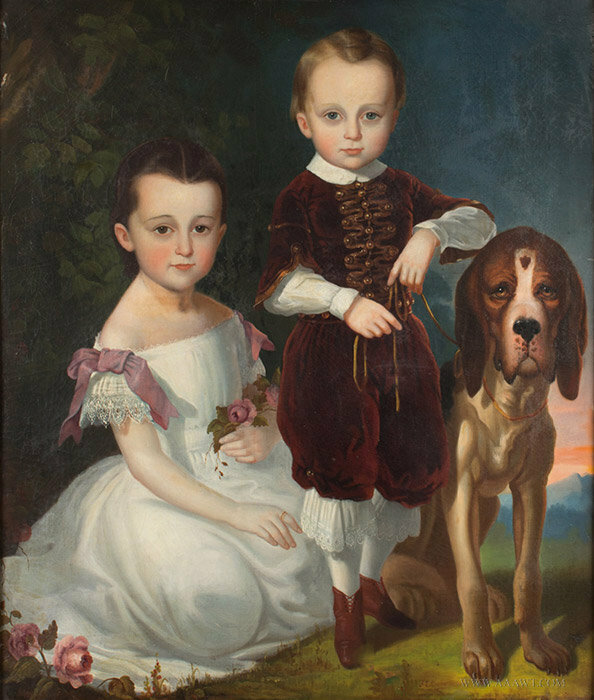 Seated Children, one child with book, sibling with pet dog (The canvas has been lined and is mounted on original stretcher within modern frame; there are scattered minor losses pretty much limited to outside perimeter; frame: 43.5" x 49.5"; view: 34.5" x 40.5"). 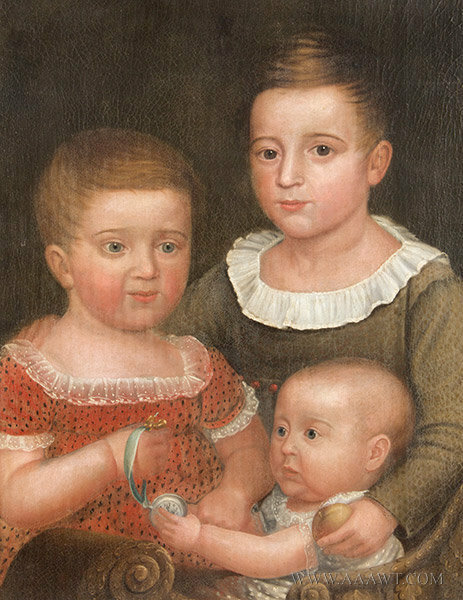 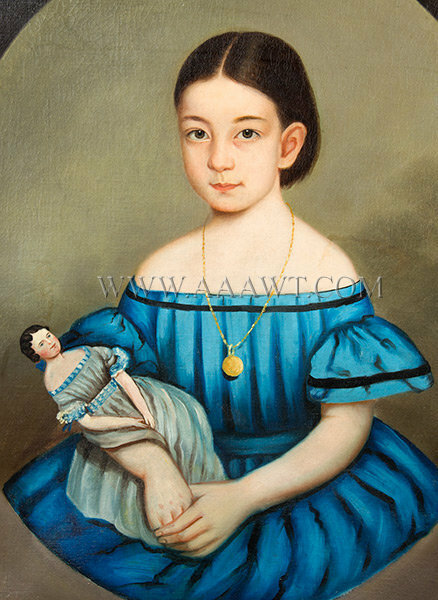 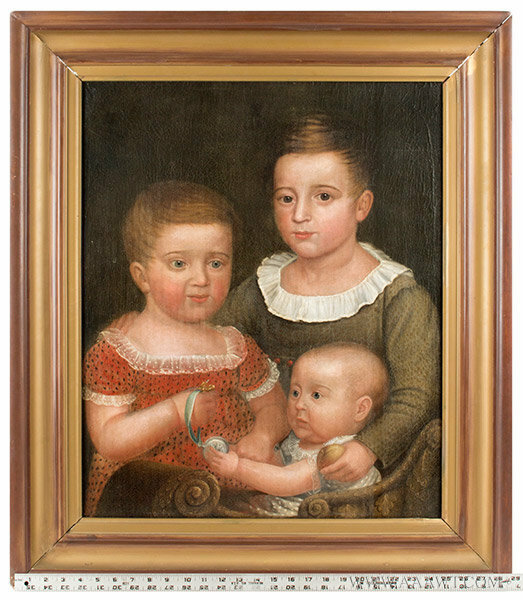 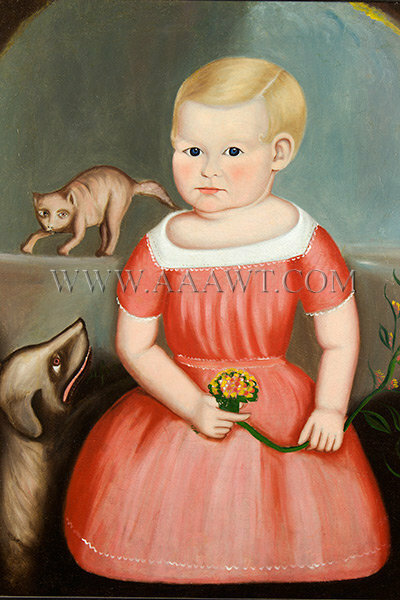 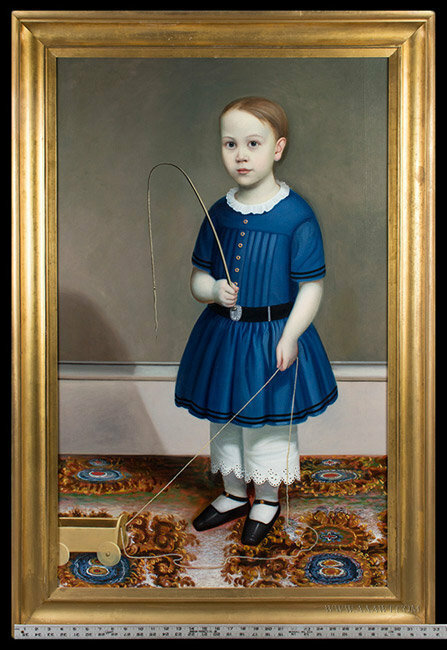 (Untouched original condition: frame: 32.5 x 28.25"; view: 27.5 x 23.25"
See American Folk Art, Lovingly Collected, Worcester Art Museum, Paul S. D'Ambrosio, page 55, The Pratt Children, circa 1835. 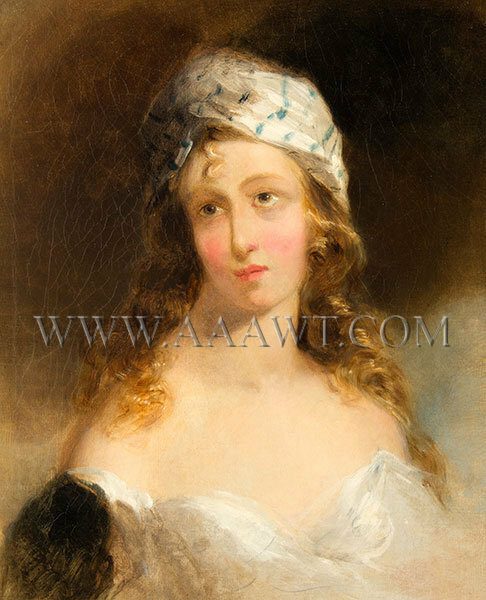 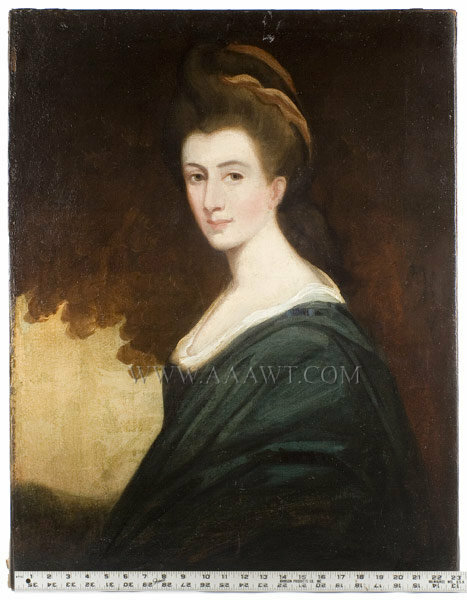 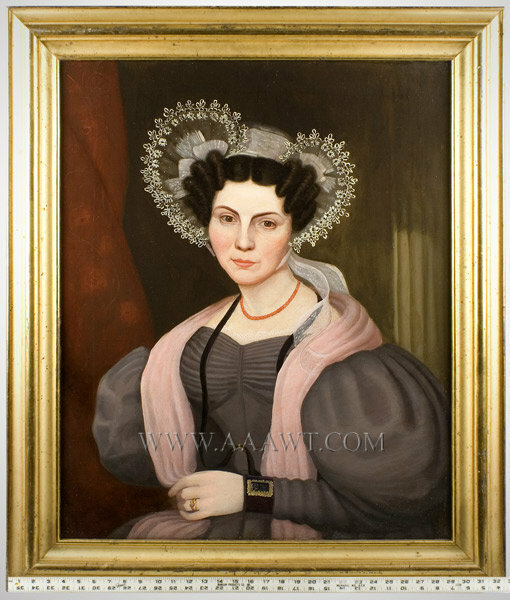 The painting remains in very good condition; was laid on board during the mid-20th century with only scattered and minor losses restored; lightly cleaned and very minor in-painting. 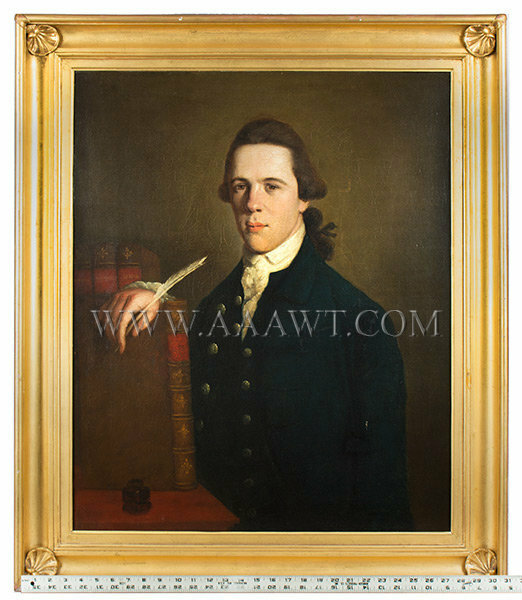 This item just in, more information to follow, please call if interested. 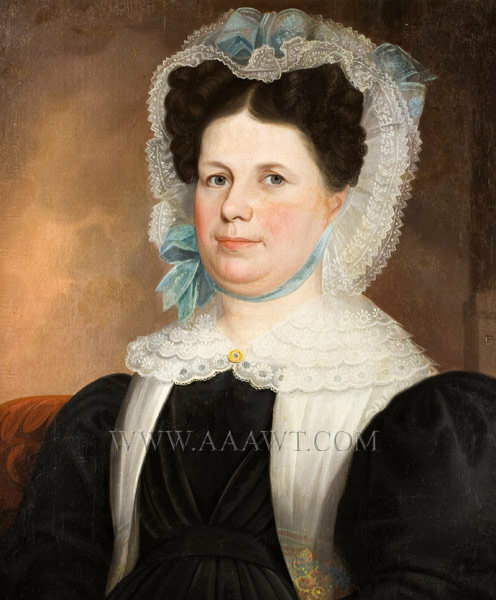 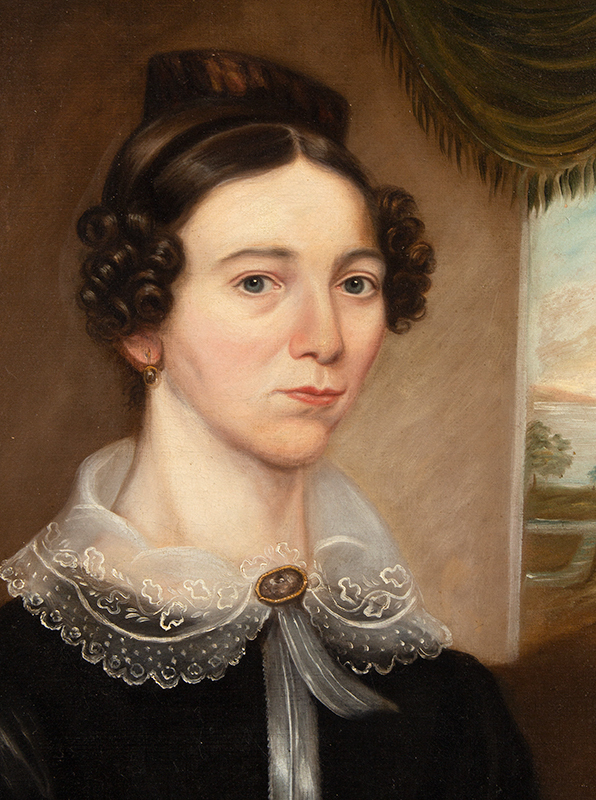 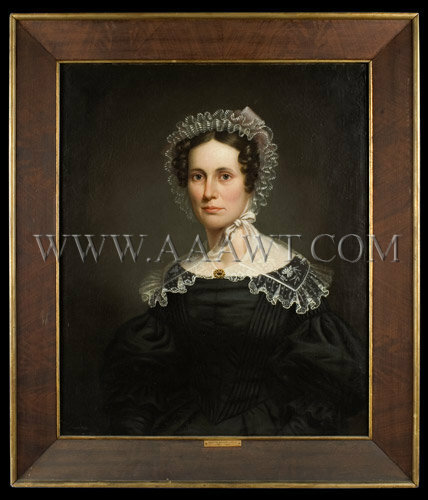 Dorothy Quincy was born in Boston to Judge Edmund Quincy and Elizabeth Wendell Quincy, they were one of Massachusetts leading families; her formative years were lived within the Quincy home at Braintree, Massachusetts. 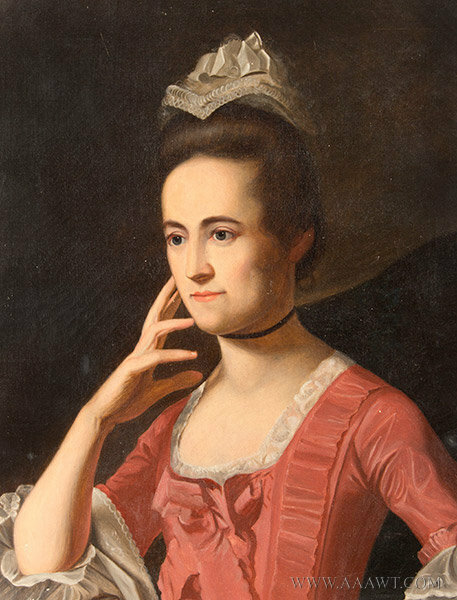 The home was frequently visited by John and Samuel Adams, Dr. Joseph Warren, James Otis, and John Hancock; all friends of her father, an ardent patriot. 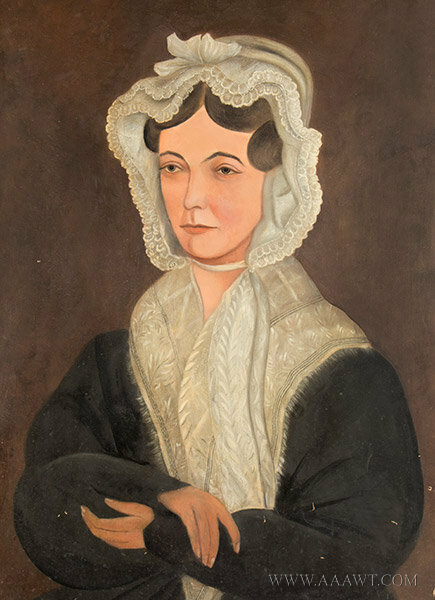 While visiting her future husband, John, and his Aunt Lydia in their home at Lexington, Dorothy was present when American Revolutionist Paul Revere arrived to warn Hancock of approaching British soldiers; when the battle between British Regulars and Patriot militiamen began, Dorothy and Aunt Lydia remained in the home witnessing from a bedroom window, the Battle of Lexington and Concord - the first battle of the Revolutionary War. 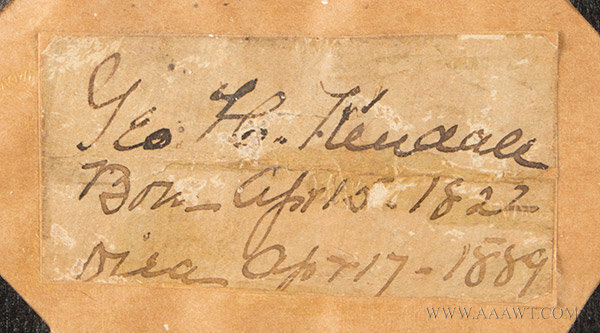 Dorothy documented what she witnessed and wrote detailed descriptions of what she had encountered during the battle. 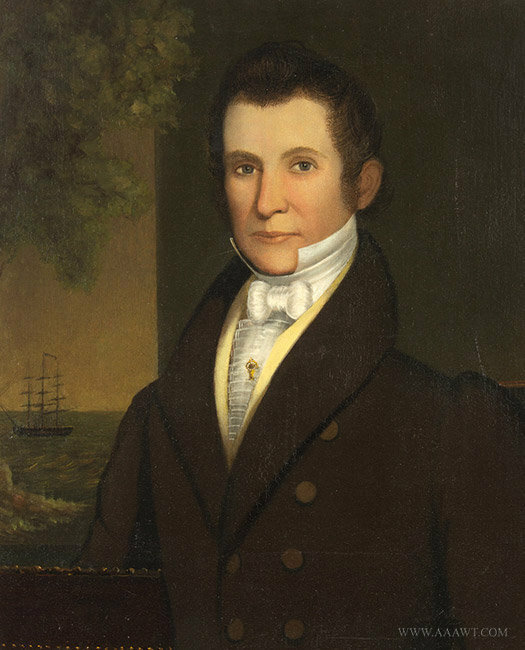 Martin came to America in 1794; advertised in New Jersey in 1795 as "from New York, late of Fleet Street, London," and worked in New York from 1797 until 1820. 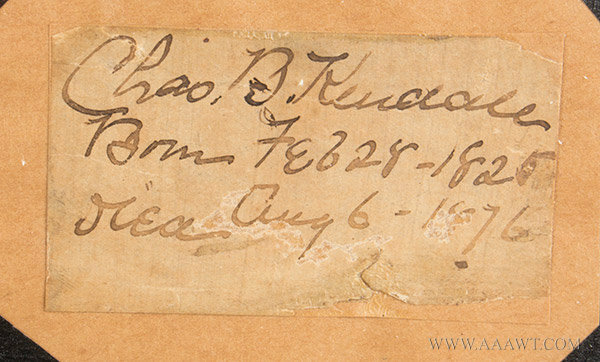 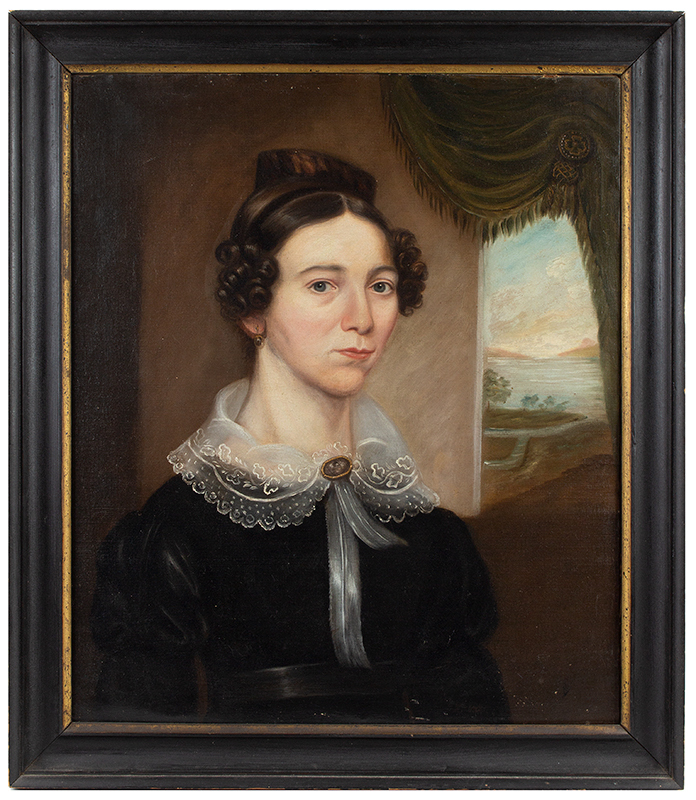 (See Sotheby's, lot 948, January 1994; sale 6527, Fine Americana; Also, Keno Auctions, May 2010, lot 414. 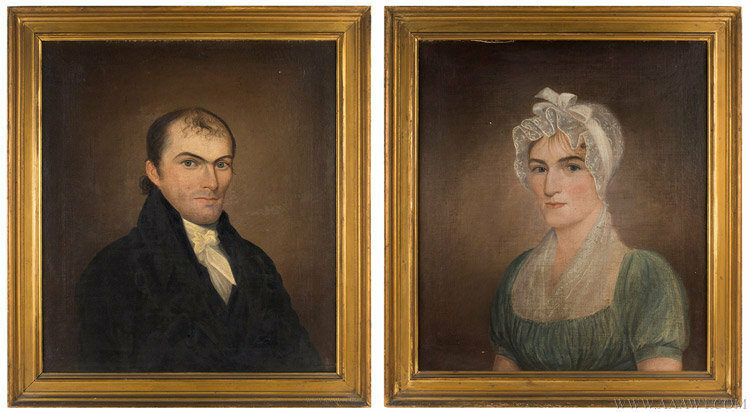 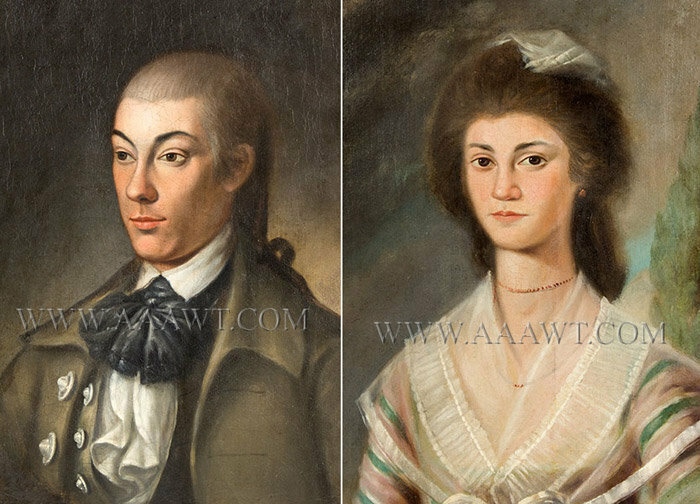 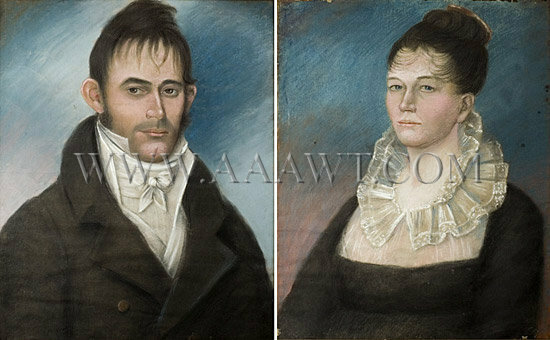 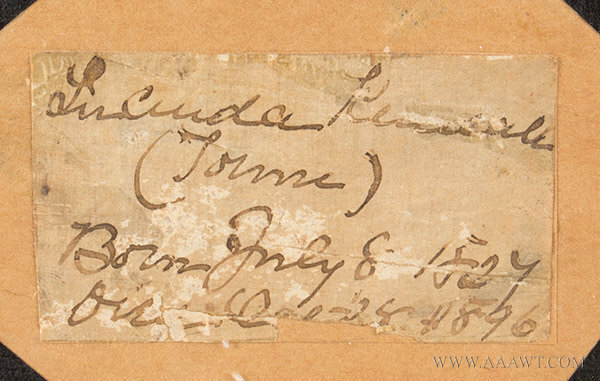 (Some minor paper loss at extreme edges (lady), otherwise very good; 23.75 by 27.75"; view: 19.25 by 23.25") Accompanying these portraits are a related will, marriage certificate and household inventory. 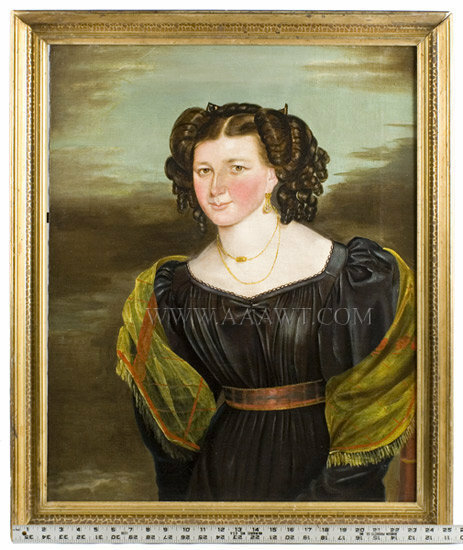 Oil on canvas, frame: 26 by 29.75"; view: 19.25 by 23", modern gilt frame, original stretcher; lined, retouch, patch reinforcement, craquelure. 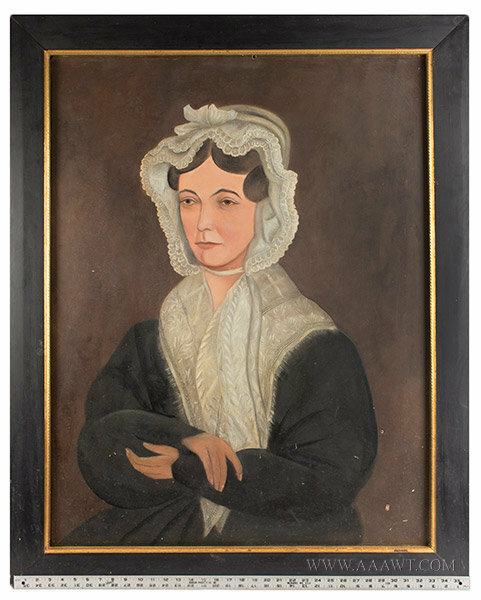 Oil on canvas, painting has been restored but appears to be on original stretcher. 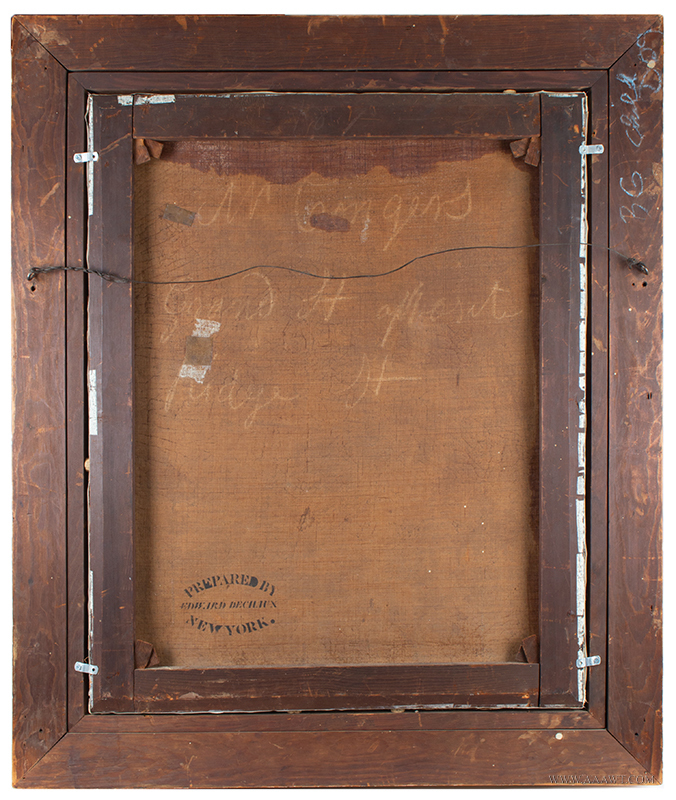 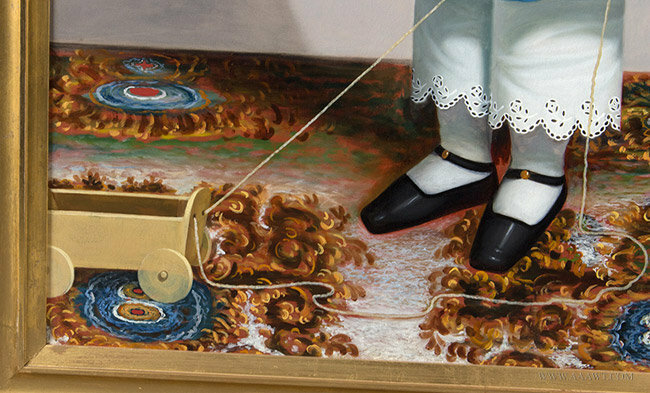 The canvas has been lined and remains on original stretcher with the gilt frame appearing to be original; restoration includes in-painting. 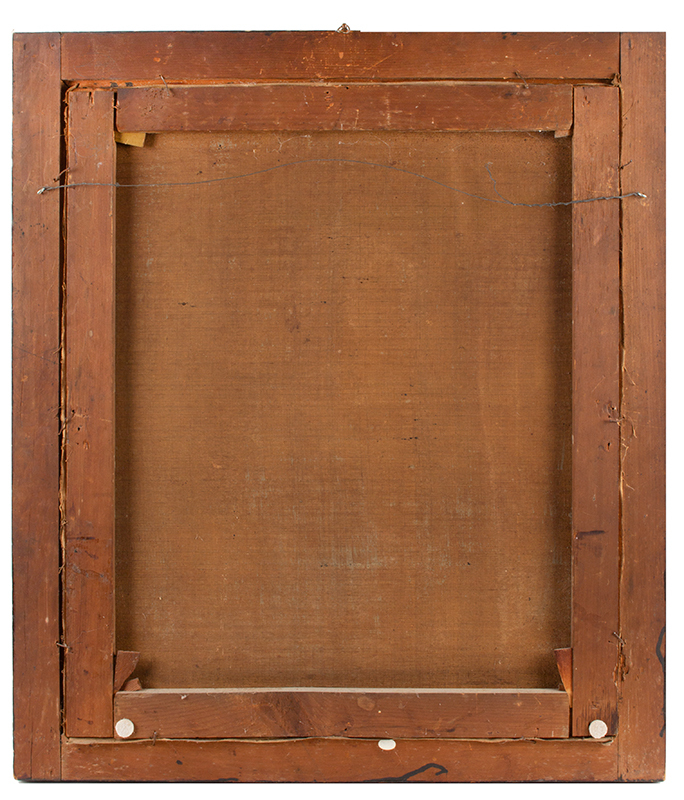 Panel has characteristic gray wash on the back. 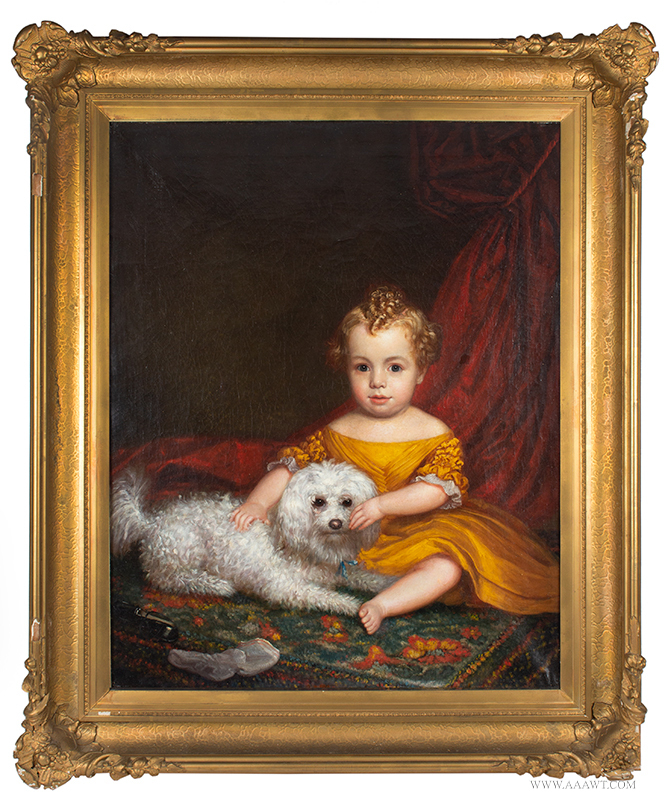 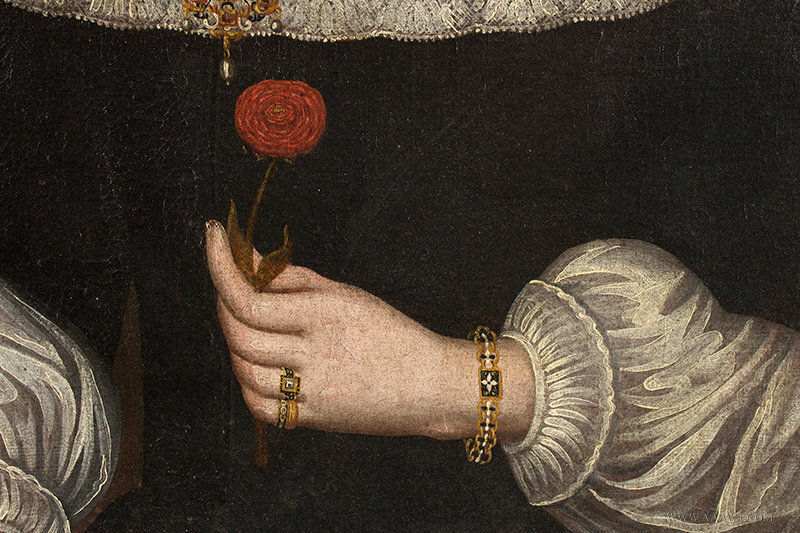 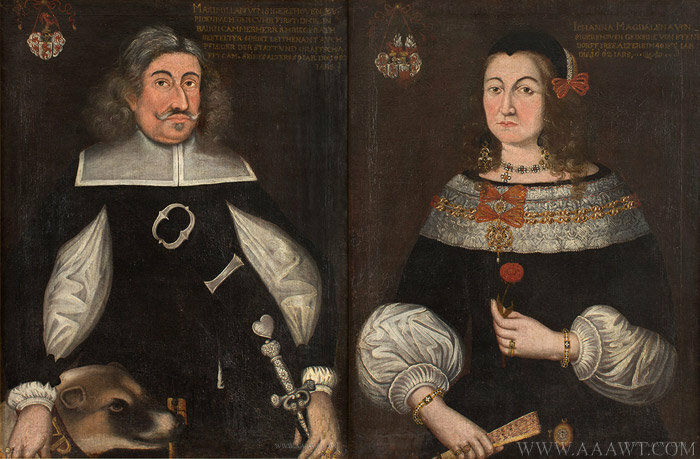 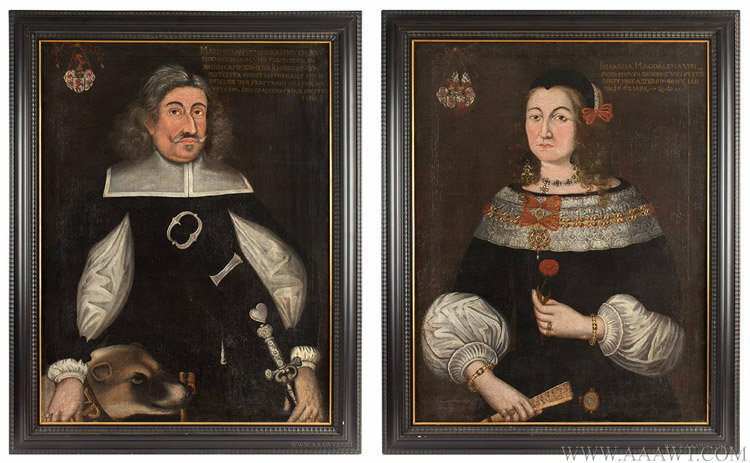 The portrait is untouched and remains in its original frame. 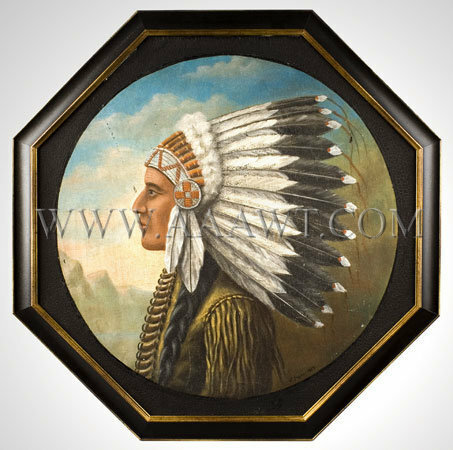 Dimensions: 26 by 32.25" frame, 20 by 26" sight-size. 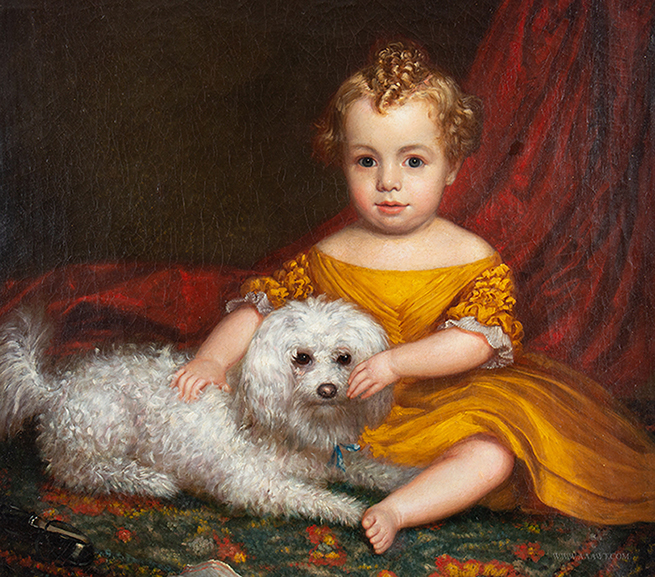 As depicted, handsome lad with his spaniel seated on plush sofa before green drapery. 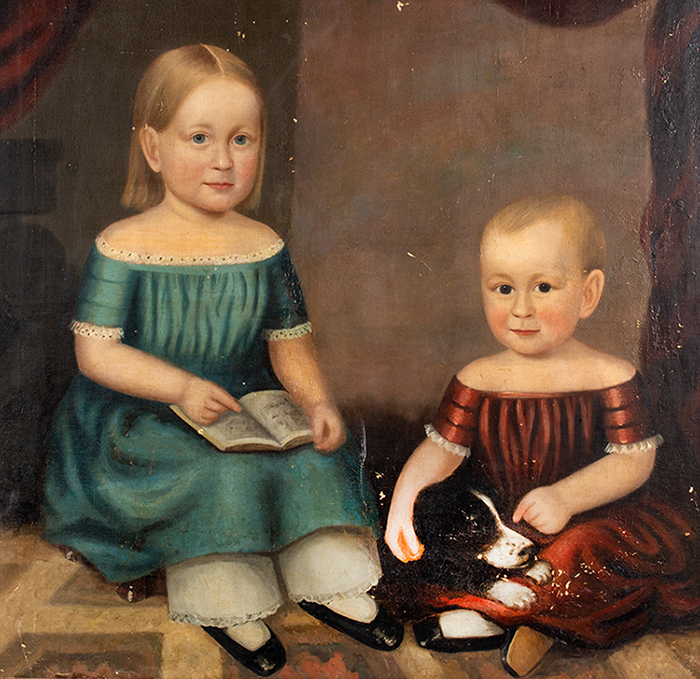 The picture appears to be mounted within its original frame and remains on original stretcher. 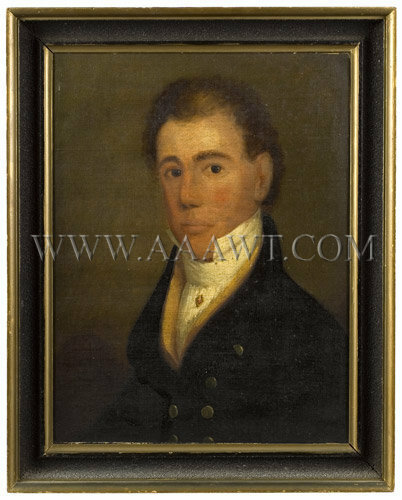 Joseph Greenleaf Cole was born in Newburyport and worked in Boston and Portland, Maine. 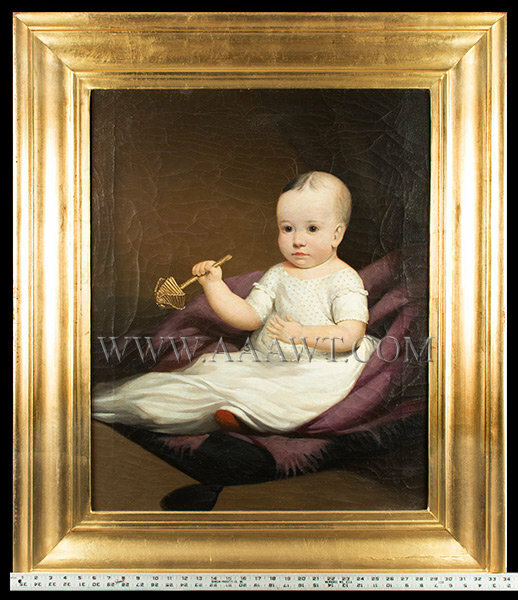 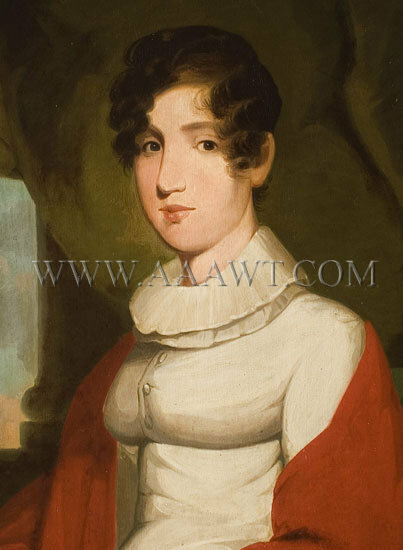 This picture was found in the Hudson River Valley and is mounted within a molded frame with gilt liner; the work is lined and stretched on recent strainer; very minor in-painting mostly confined to outermost edges. 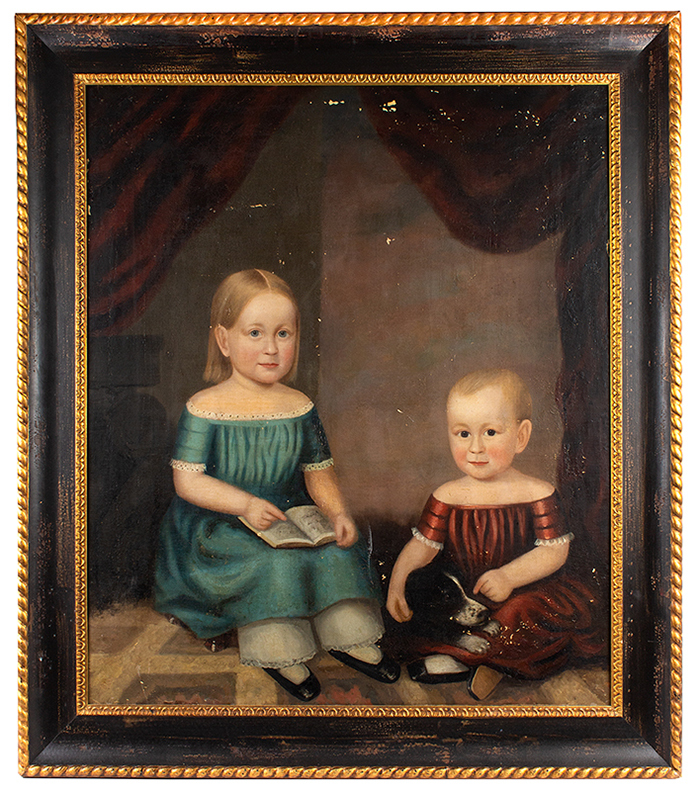 Dimensions: 30.75 by 35.75" frame, 24.5 by 29.5" sight-size. 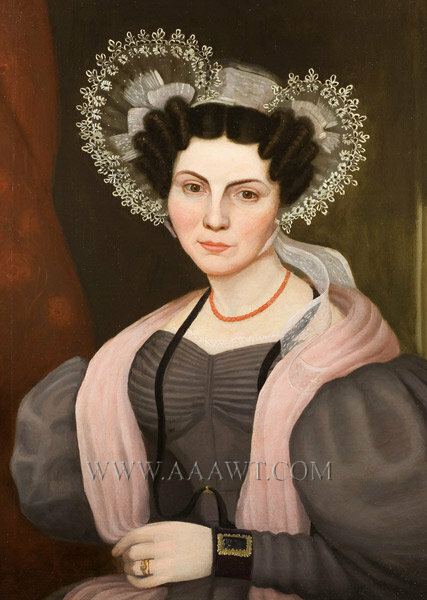 An attractive woman wearing lace bonnet and collar. 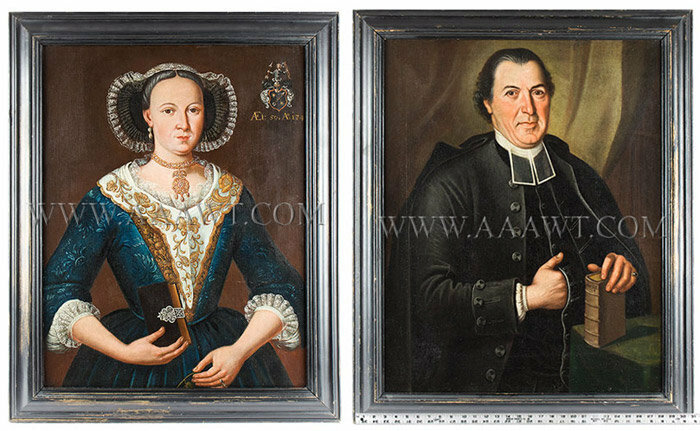 Remaining in fine original condition including stretcher and painted frame. 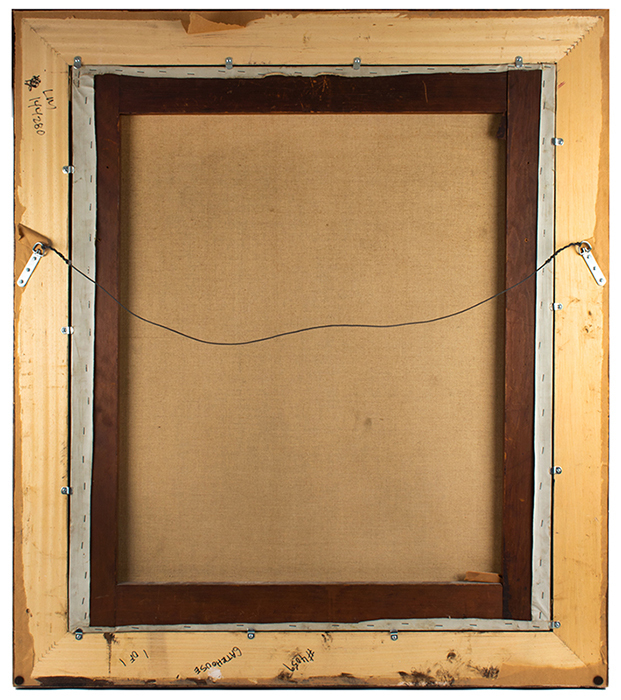 Dimensions: 32.75 by 37.75-inch frame, 25 by 30-inch sight-size. 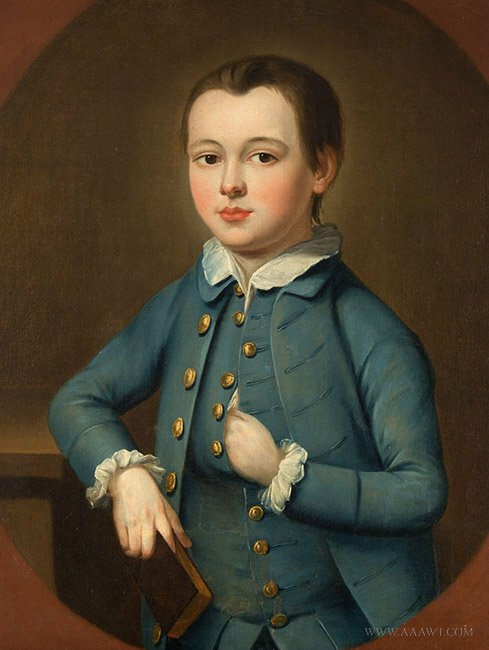 Handsome half-length portrait of an adolescent boy in a light blue jacket and waistcoat, with delicately rendered cotton cuffs and collar. 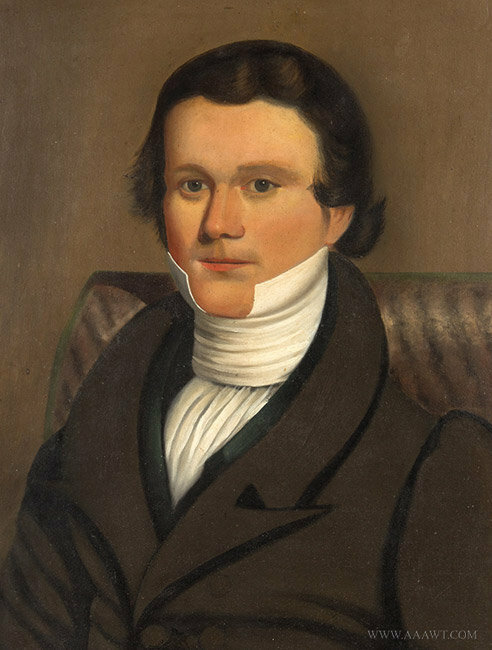 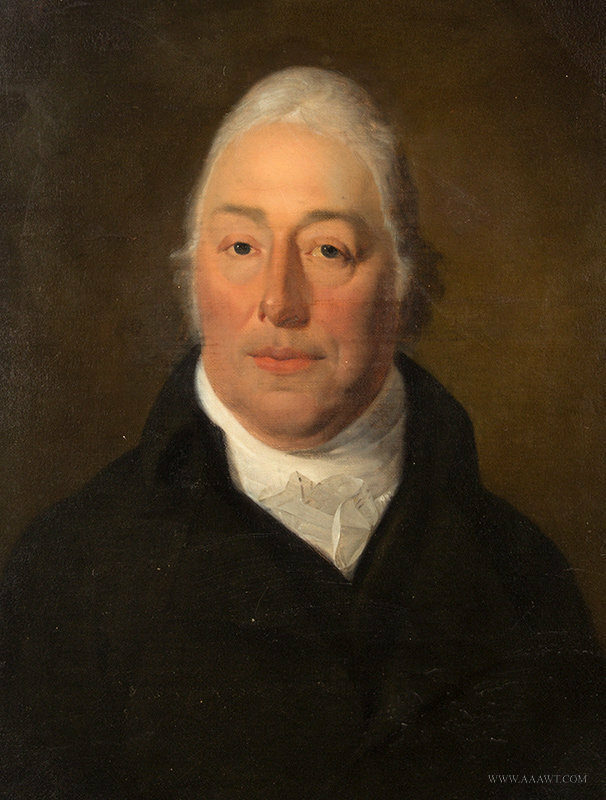 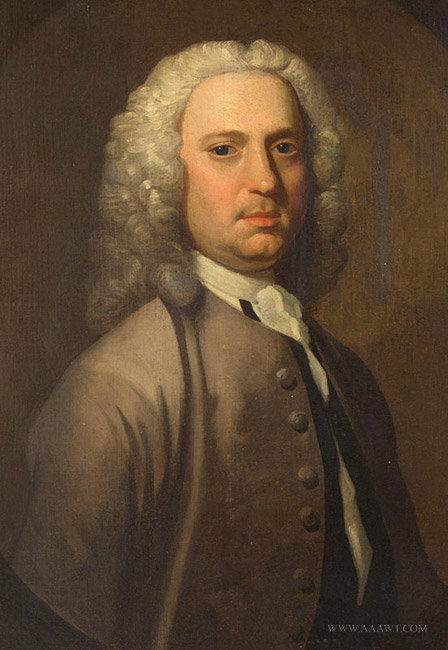 His competently-painted hand holds a small book and the other is tucked into his waistcoat, giving him a mature and scholarly air. 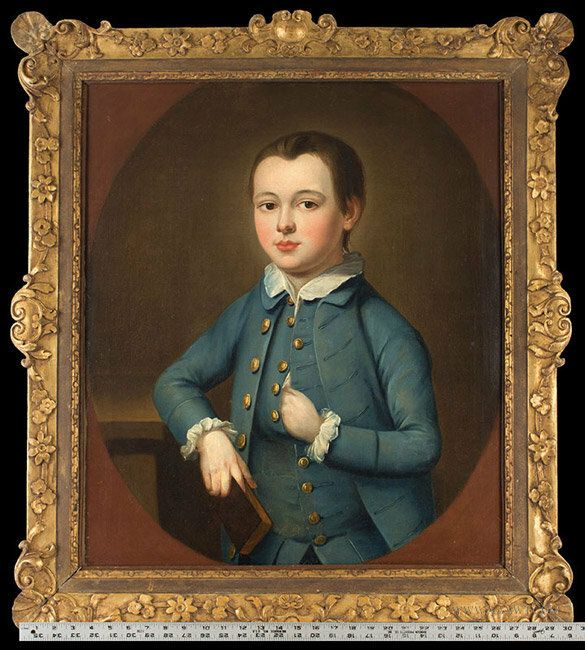 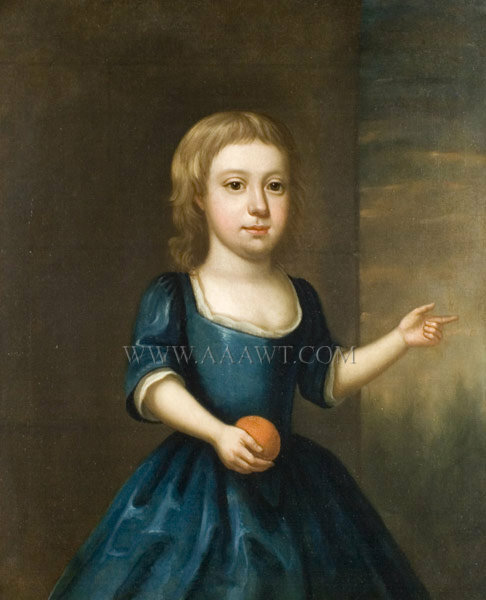 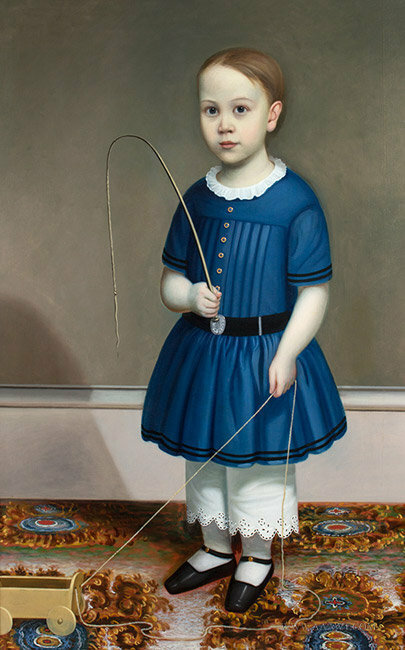 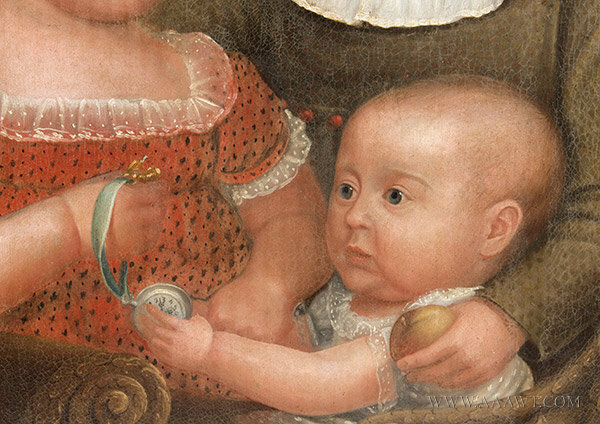 Children in the early to mid-eighteenth century were dressed and expected to behave as miniature adults, and education was a priority for middle and upper-class families. 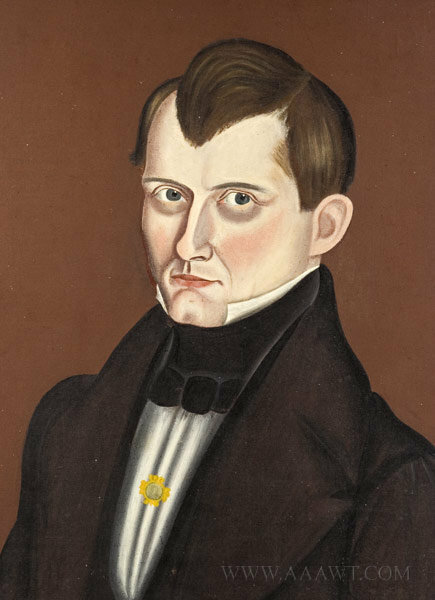 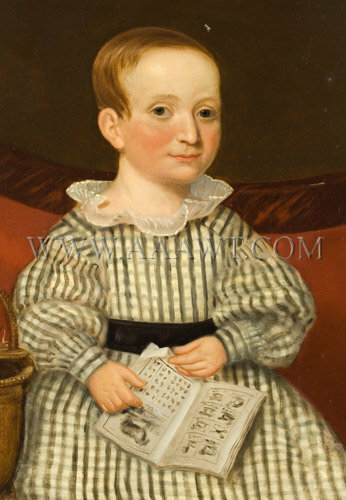 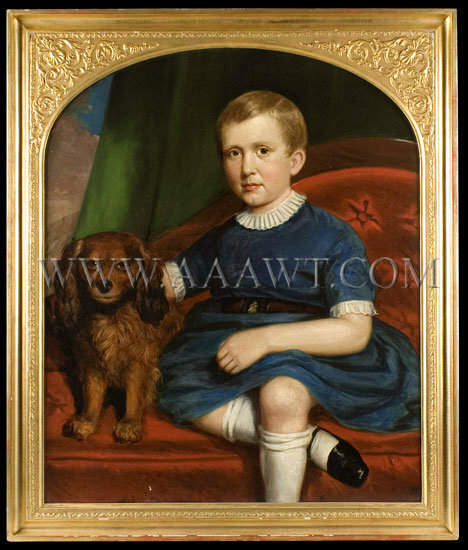 Literacy was necessary among the children of wealthy families, and that our young man’s family would commission a portrait of their son at such an early age shows fondness but also an expectation of greatness. 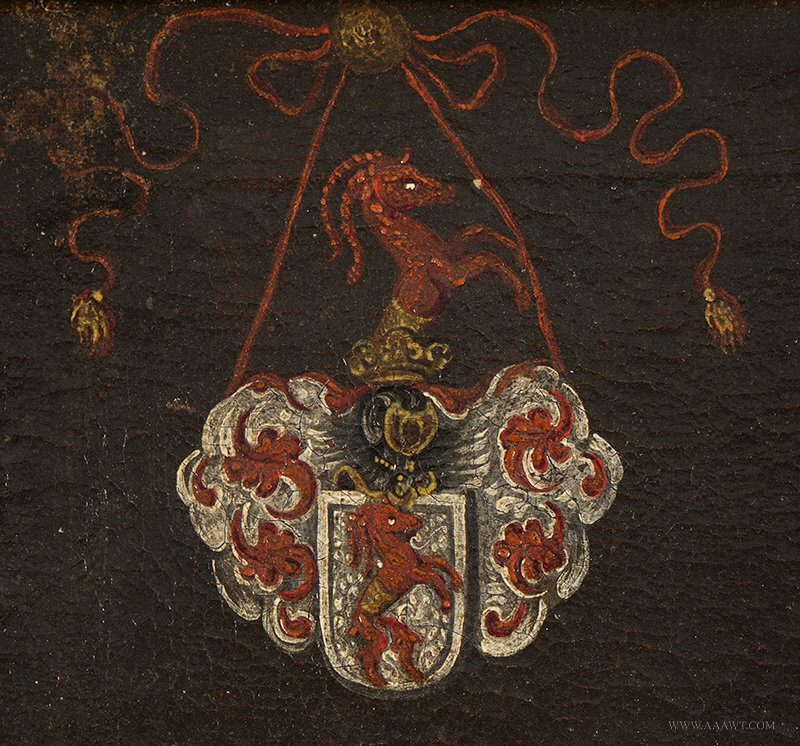 Very minor restoration commensurate with age; re-stretched and lined.